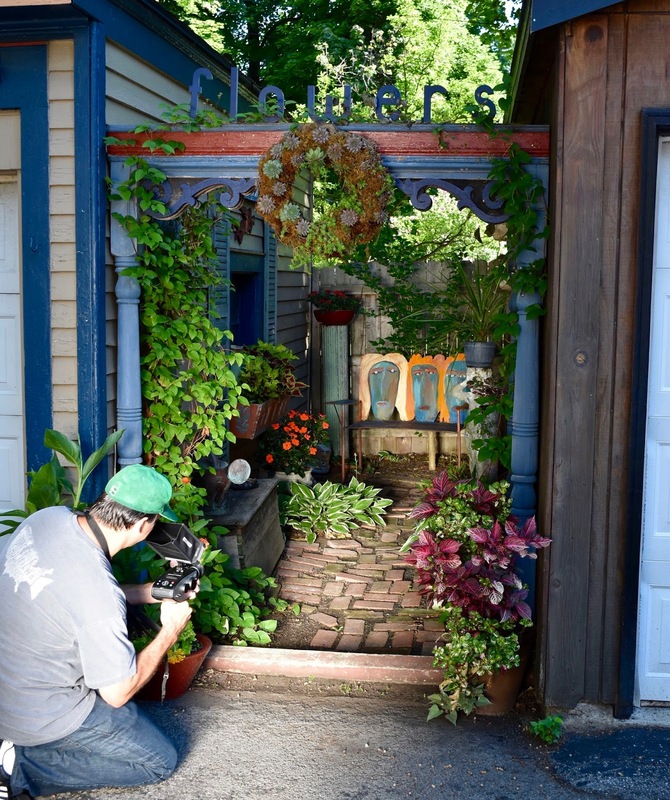 Gardens Buffalo Niagara (GBN), the organization that plans and hosts Garden Walk Buffalo and many other horticultural tourism events, has launched a new garden tourism video for the 2017 tourist season. 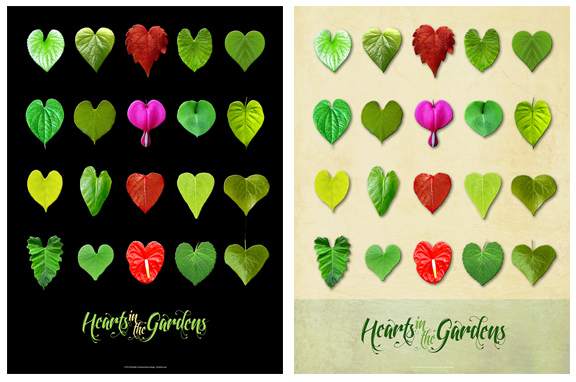 Originally produced for the GWA | The Association of Garden Communicators‘ 2016 Annual Conference in Atlanta last September it was intended to excite conference attendees to attend the 2017 Conference, held here in Buffalo, August 4-7, 2017. 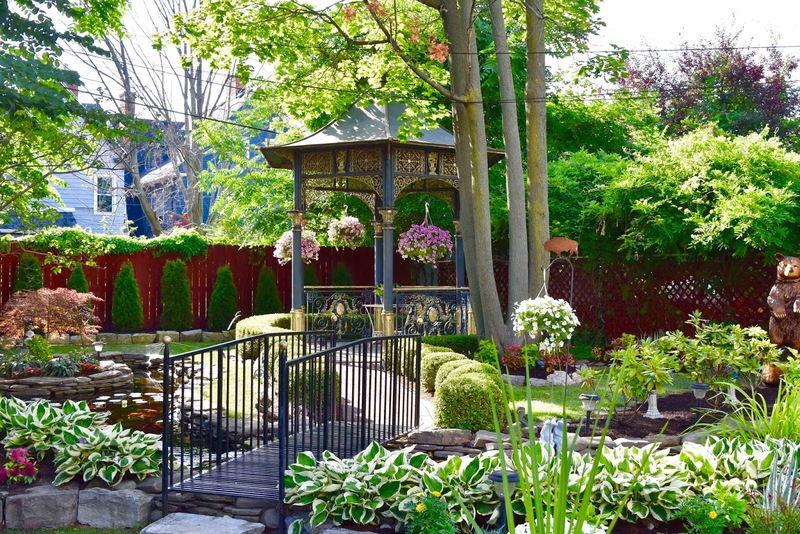 The video launched at the same time as a new website launched for Gardens Buffalo Niagara and Garden Walk Buffalo. Work for the website started last fall with a small committee, of which I was a member, that worked with the team at Ingenious, Inc. to produce the site. 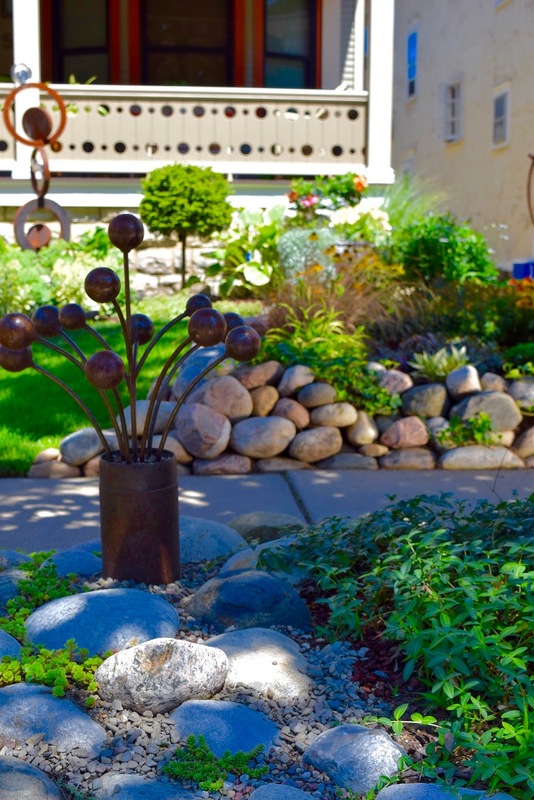 Take a spin on our new site – it’s loaded with garden events that happen throughout the year – garden art sales, educational events, garden-themed bus tours, Open Gardens on Thursdays and Fridays in July, and 18 different garden tours including Garden Walk Buffalo, America’s largest garden tour. The video was filmed, directed, and edited by filmmaker John Paget. It was written by copywriter Pete Rieling. It was produced by GBN (me) and Buffalo’s visitors bureau, Visit Buffalo Niagara (primarily GBN board member Ed Healy). It was primarily funded by a grant from the John R. Oishei Foundation. Below are some photos of shooting the video last summer. 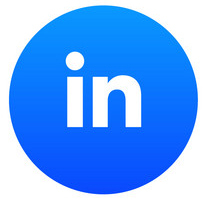 No photos of us working on the website – don’t want to bore you! 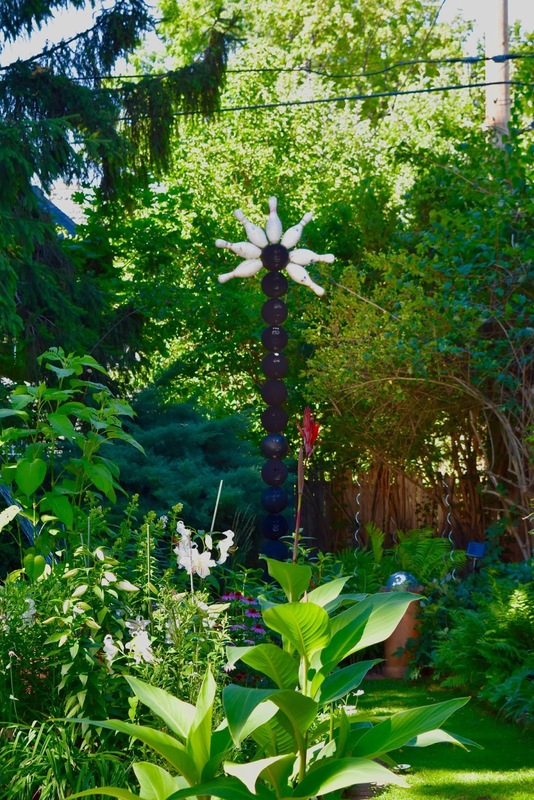 A large finial found in the Parkside garden of Frank Scheuttle, who passed away this past November. 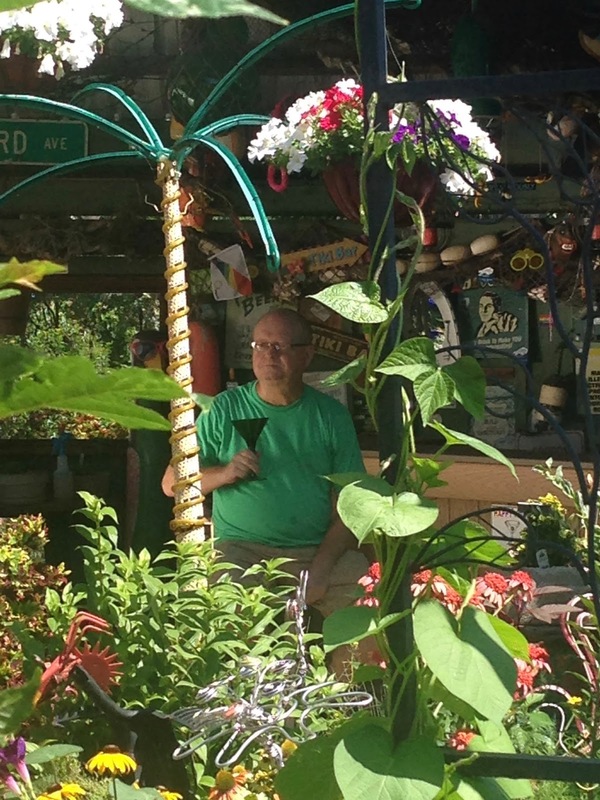 Buffalo lost a gentle giant of a gardener. 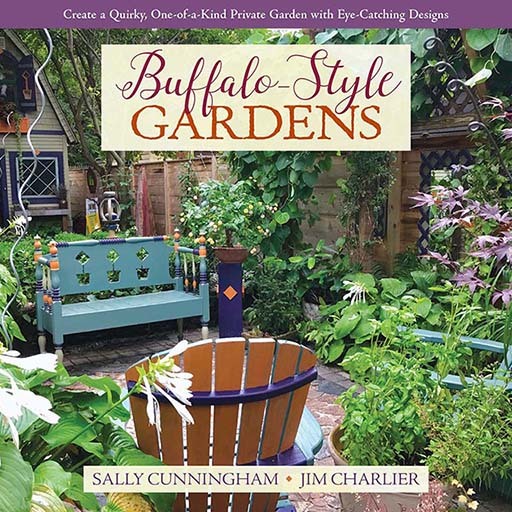 He and his wife’s garden defined what a Buffalo-style garden is. 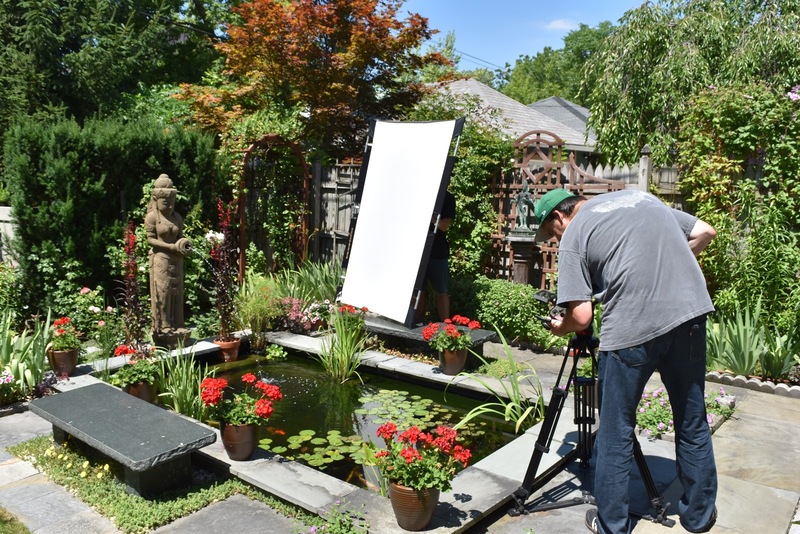 We were able to shoot in the tropical oasis that is the Ballard/Olinsky Garden on Bird Avenue. Gordon is always ready for a close-up and a drink. Bear in mind this was around 10 a.m.! A very creative Manchester Place garden was lit perfectly! More of a production shooting this Baynes Street garden in harsh overhead light. 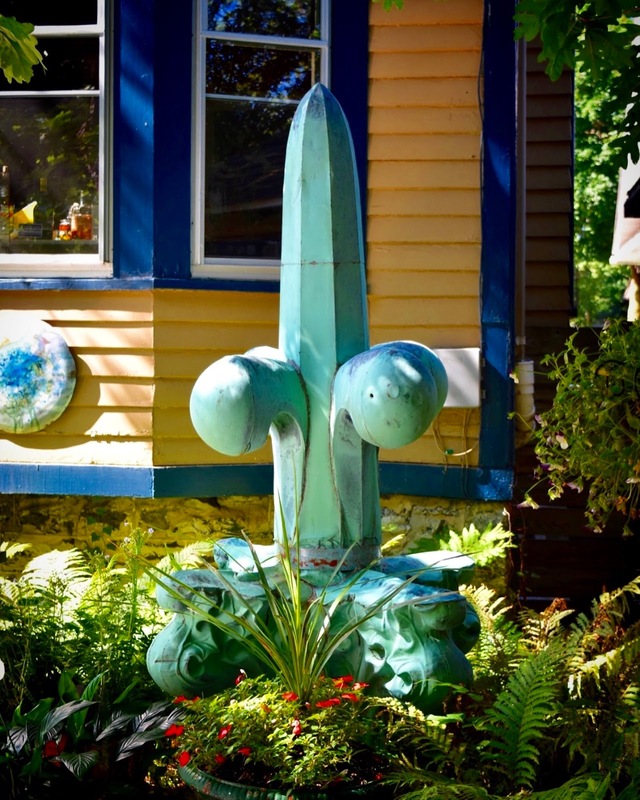 And how could this Highland Avenue bowling ball totem pole NOT be in a garden video on Buffalo’s gardens? John shooting one of my favorite gardens on the Walk. 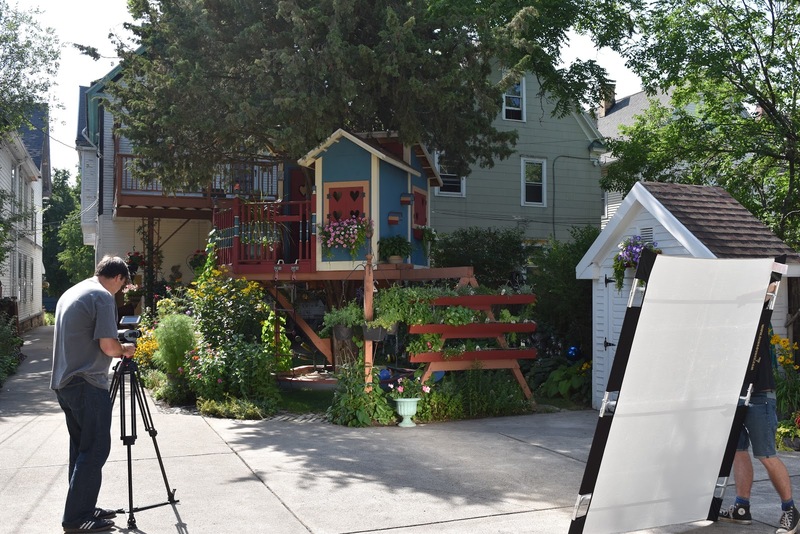 This is the Richmond Avenue garden of Garden Walk Buffalo Chairperson Sue Hough, and her husband Miro Sako and their young daughters, whom I’m afraid will out grow this tree house all too soon. Another new favorite garden on Norwood Avenue. It looks like a movie set from The Sound of Music!